A US Navy official admitted on Tuesday to taking various bribes, including a prostitute and luxury travel, as well as sums reaching up to $120,000. He was involved in a massive scheme with a long-term Asian military contractor. Jose Luis Sanchez, 42, is the highest-ranking official to plead guilty in the case that has investigated the links between a Singapore-based company and US officers, who provided it with confidential information in exchange for luxury travel, prostitutes and other bribes, AP reported on Tuesday. 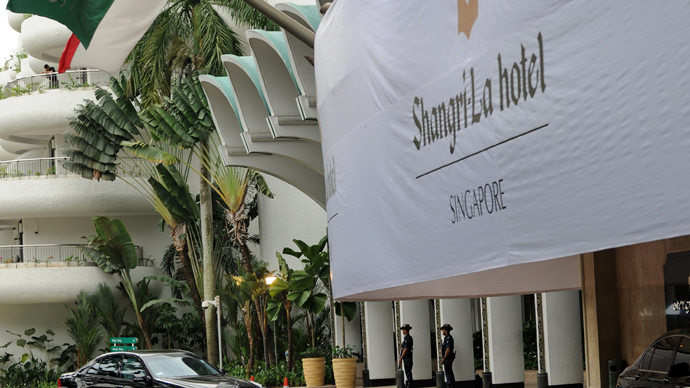 His 24-page plea agreement lists bribes valued between $30,000 and $120,000 from 2009 to 2013, including a prostitute, $7,500 to travel from Asia to the United States and five days at Singapore's luxury Shangri-La Hotel. The Navy official is facing a maximum penalty of 20 years behind bars. Sanchez admitted taking the money in exchange for classified Navy ship and submarine schedules and other internal information that he supplied to Leonard Glenn Francis, chief executive of Glenn Defense Marine, a company that managed port services for American ships in Southeast Asia. Sanchez, who served in Japan and Singapore before he was reassigned to Florida in 2013, remains on active duty in San Diego, according to the Justice Department statement. His sentencing is set for March 27. The first charges in the case, which involves four US Navy officers – Sanchez, Misiewicz, Beliveau and Wisidagama, – were filed in 2013. Francis, known as “Fat Leonard,” was arrested in September 2013 and has pleaded not guilty. His company has serviced Navy ships for 25 years, and since 2009 it has allegedly overbilled the US Navy by at least $20 million. “We continue to unearth the full scope of this pernicious fraud and bribery scheme, and we will pursue the evidence, wherever it leads us,” said US attorney for the Southern District of California, Laura Duffy.